(Kansas City, Mo. -- Sept. 28, 2017) – Bringing a streetcar line to Berkley Riverfront is now one step closer. 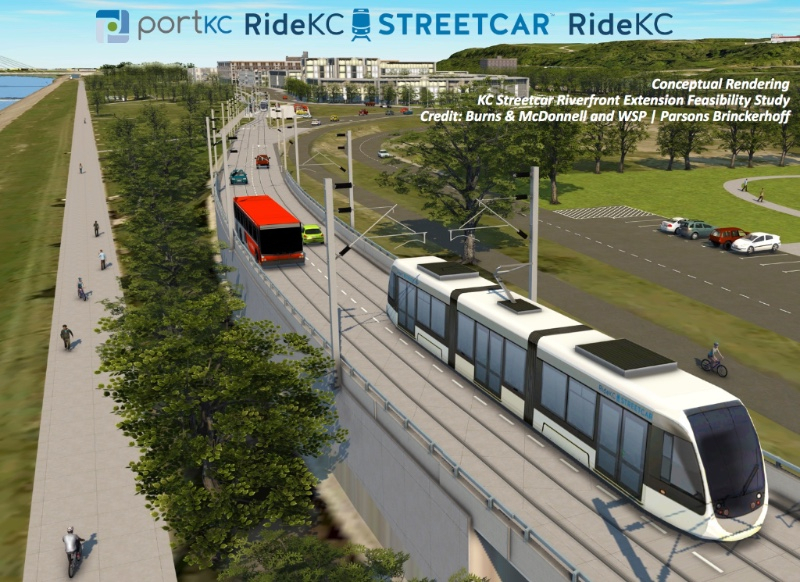 The KCSA, in coordination with Port KC and the KCATA, selected the team led by Burns and McDonnell to conduct this next phase of planning for the Streetcar Riverfront Extension and Multi-Modal Feasibility Study. This work will occur simultaneously with the Streetcar Southern Extension planning. The report from phase one of this project can be found on the KC Streetcar website, www.kcstreetcar.org.